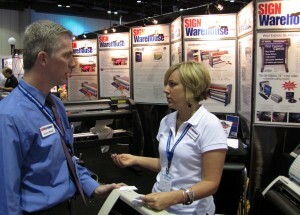 SignWarehouse attended and exhibited at the 2010 ISA in Orlando Florida. The show ran from Thursday, April 8th to Saturday, April 10. We were located in booth 1174… Thanks to all our customers who stopped by to say hello! We had our Mutoh Certified Field Engineer Kieth McCallum in the booth fielding all the Mutoh printer “How do I” questions. 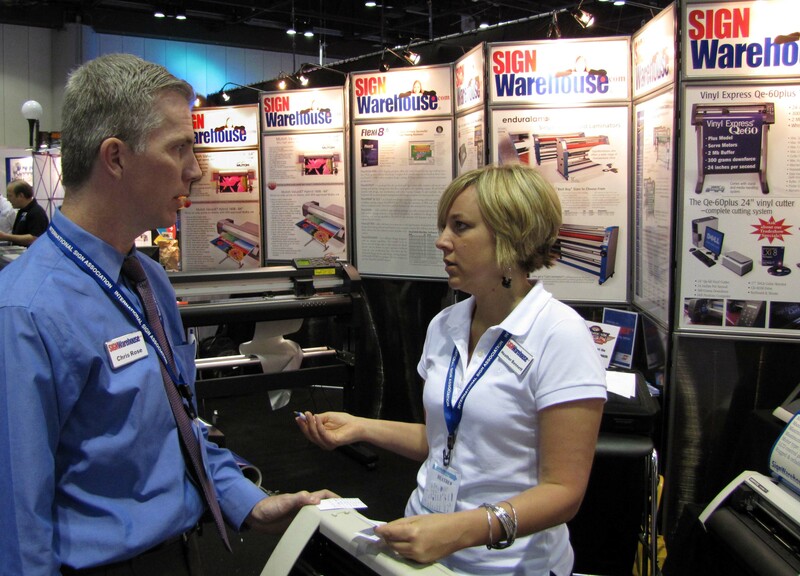 Heather Bennett from the Denison location and Chris Rose from our Lexington location rounded the booth staff out. Also attending were Jerry Barrax, Michael McCollum, Larry Adams, and Chris Gripp. Mutoh introduced new dye-sub garment printers, and featured the “Car Wraps” speed wrapping system demos. 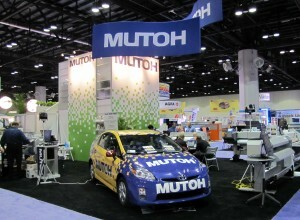 This system is available with our 48″ wide PrismJET VJ 48, made by Mutoh. My take was on the amount of LEDs that were showing up everywhere, in all areas: channel lume letters, backlit sign cans, everywhere… it seemed as if the the fluorescent tube is dead, which is probably a good thing for the environment. 3M even had a product that combined their adhesive film technologies with an LED blanket that you just stick down. If you were at the show, was there anything that caught your attention?